Volkswagen and SEAT are recalling thousands of cars due to a serious seat belt safety fault. The seat belt safety warning affects the current Volkswagen Polo and SEAT Arona and latest Ibiza. The German and Spanish carmakers have said there is the possibility, with five passengers on board, the rear left seat belt could be unintentionally released. The serious safety flaw was reportedly uncovered by Finnish magazine Tekniikan Maailm and surrounds the lower seatbelt housing for the rear middle seat pushing against release button for the seat belt for the left seat. During tests, the consumer publication found that carrying five passengers and making a sudden turn could push the button, uncouple the belt and leave the rear passengers in potential danger. The news will worry owners who regularly use their Polo, Arona and Ibiza for school runs and family trips. 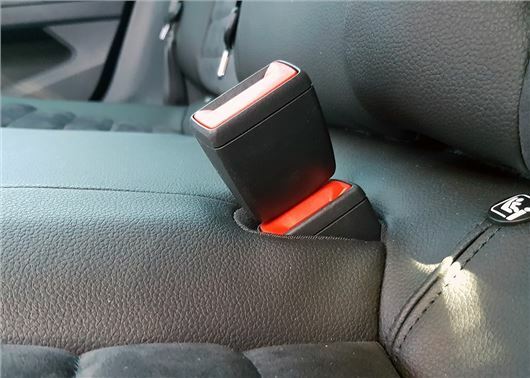 "Owners should not use the middle seat until their vehicle has been recalled,"
A spokesperson for SEAT told HonestJohn.co.uk: "Owners should not use the middle seat until their vehicle has been recalled and had new seat belts fitted. However, there are no concrete details about the recall date. It's also unclear how long the work will take or how many cars in the UK are affected. In a joint statement, Volkswagen and SEAT said: 'There is the possibility that in rare situations (e.g. sudden quick lane changes with five passengers on board) and when the rear centre seat and the rear left seat are occupied at the same time, the left seat belt lock could be unintentionally released. At the moment there appears to be no permanent fix for this problem and the advice is not to use the rear middle passenger seat. What rights does an owner have regarding this fault and the fact that there is currently no long term solution?